48 ταξιδιώτες κοιτάζουν τώρα αυτό το κατάλυμα | 12 ταξιδιώτες έκαναν κράτηση σήμερα. Τοποθετημένο στην καρδιά της Κζίμεντινγκ, το Roaders Hotel είναι το ιδανικό σημείο από όπου μπορείτε να ανακαλύψετε τη Ταϊπέι. Από εδώ, οι επισκέπτες μπορούν να έχουν άμεση πρόσβαση σε όλα όσα η πόλη έχει να προσφέρει. Από τη βολική της τοποθεσία, η ιδιοκτησία προσφέρει εύκολη πρόσβαση σε κορυφαίους προορισμούς της πόλης. Οι εγκαταστάσεις και οι υπηρεσίες που παρέχει το Roaders Hotel διασφαλίζουν την ευχάριστη διαμονή των πελατών. Η ιδιοκτησία παρέχει 24ωρη φύλαξη, ημερήσιος καθαρισμός, υπηρεσία ταξί, δωρεάν WiFi σε όλα τα δωμάτια, ταχυδρομική υπηρεσία, φροντίζοντας για τη μέγιστη δυνατή άνεση των επισκεπτών. Τα δωμάτια του ξενοδοχείου έχουν διαμορφωθεί προσεκτικά ώστε να παρέχουν υψηλό επίπεδο άνεσης και την ευκολίας. Σε κάποια από τα δωμάτια, οι επισκέπτες μπορούν να βρουν επίπεδη τηλεόραση, μοκέτα, προϊόντα καθαρισμού, κρεμάστρα ρούχων, δωρεάν καφές φίλτρου. ΟΙ ψυχαγωγικές δραστηριότητες του ξενοδοχείου, οι οποίες περιλαμβάνουν τις βελάκια, γυμναστήριο, παιδική χαρά, αίθουσα παιχνιδιών, είναι σχεδιασμένες για να χαλαρώνετε και να ξεφεύγετε. Με την ιδανική του τοποθεσία και τις καταπληκτικές του υπηρεσίες, το Roaders Hotel θα σας ευχαριστήσει σε πολλά πράγματα. Sleep here on the seventh floor for 6 nights. The plus side, love the concept they are bringing in. With endless supply of food, water & pop corn and lots of entertainment for free in the lobby. WiFi is steady through out the entire hotel. They even have a small gym and place for children to play. On the cons side, sound proofing of the room can be improved a bit (I guess). I can clearly hear water pipe flowing and people moving outside, but that didn’t bother us much since through out of the day we were out and about exploring Taipei. Room a bit small, but our bath room is wayyy to big. Maybe it’s because of our room location and design (709). Since the lobby is on the basement floor, a bit hard to gauge the weather outside. But the hotel will lend you umbrellas should you need it in case of raining. Overall, you have a satisfied customer over here and would recommend it to others. Booked a room for 2( no windows ). It was small that can only fit 2 big luggage but the toilet size was good. It’s a walking distance from ximending street. We were even able to walk to Taipei main station for our airport mrt. We had daily housekeeping service and it was commendable! Since drinks in can form (coke, sprite , lemon tea) and mineral water bottle were provided as much as you want, we didn’t have to buy any beverages from convenience store for the whole trip. Of course, a huge range of instant noodles and snacks as well. Another reason I’ll rebook this hotel is for its free washing machine and dryer usage + detergent. Anyone would love to save some baggage space and bring lesser clothes! Can’t wait for my next trip here again. This time round I’ll book a bigger room ! Thanks to the friendly crew in Roaders Hotel once again! Though they din’t have early check-in, we were able to leave our luggage and have a few snacks before heading to our half day tour. When we got back, our luggage is already in our room. Everything is provided and refiled everyday. They even gave us umbrella when we checked out because it was raining outside. They’re milktea and sandwiches are delish. We’ll definitely stay here again when we come back to Taiwan. 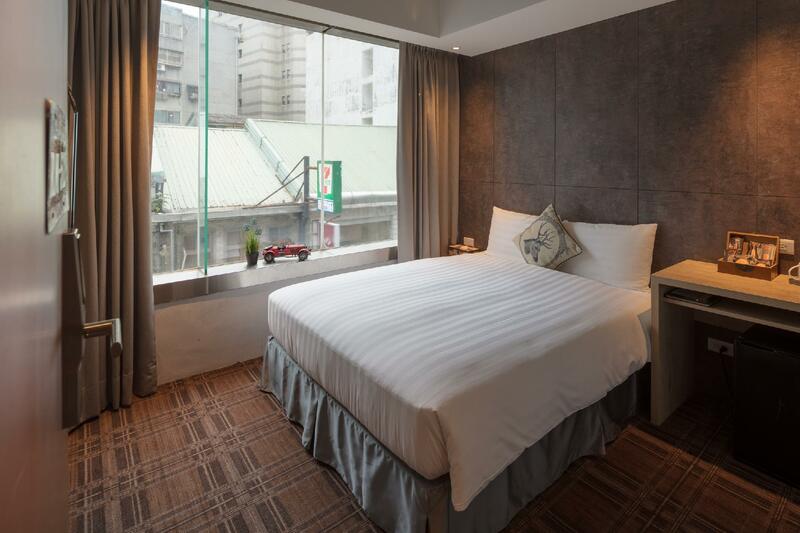 The hotel is a few mins walk from Ximen station and about 11 mins walk from Taipei Main Station. It’s convenient to the airport. The rooms are slightly small but it’s value for money. I like that the rooms are clean daily and the items like toothbrushes, combs, earbuds are replenished daily. The reception area is stocked with games as well as snacks like cup noodles and crackers and beverages if u are looking for something to munch. Would definitely book this place again. I am actually heading back to stay there as I’m typing. I stayed there for the first night of my trip and absolutely loved it. Apart from the rooms being a little small I can’t describe how amazing it is for value! Me and my sister can’t wait to go back there tonight! Great location, walking distance to Xiamen and Taipei station, easy access to airport and scenic attraction. Staff are friendly and good in English. 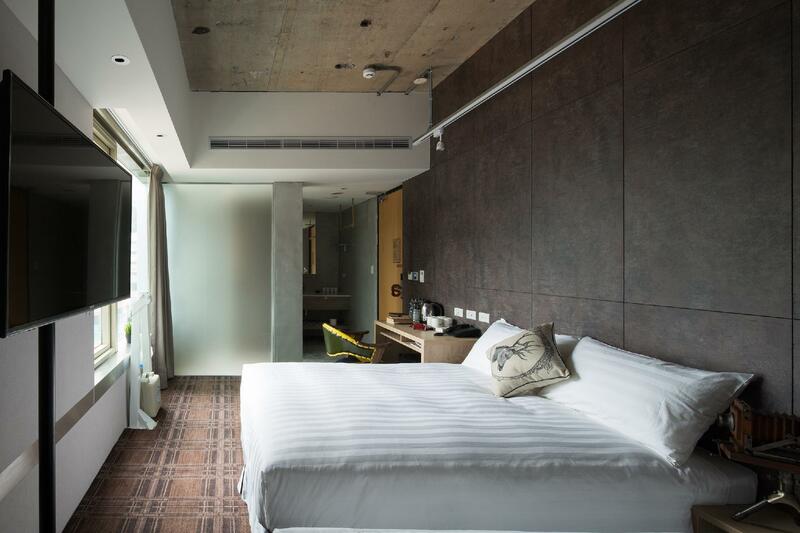 Clean and awesome hotel with modern design. For teenagers, basement is a paradise. 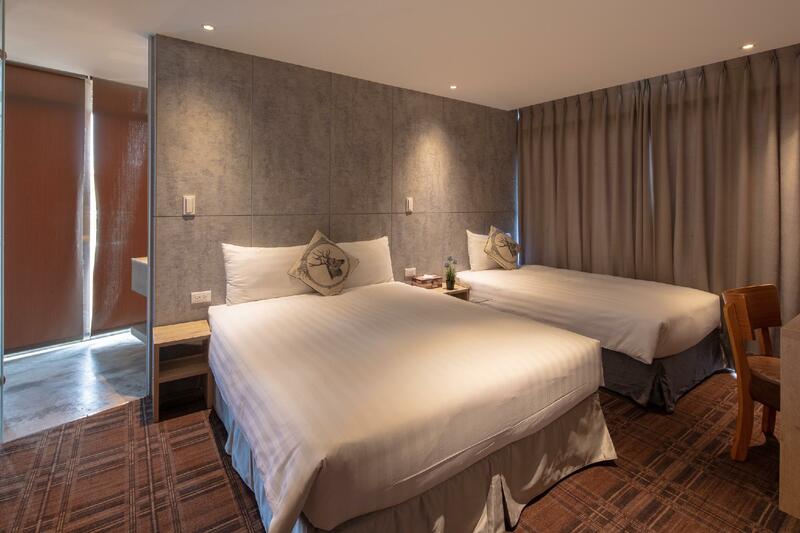 Aside from having a great location and clean rooms, the overall concept of the hotel is very appealing, particularly the basement lobby where guests can relax and enjoy free refreshments. The staff is polite, helpful and will go out of their way to make the guest happy. It is worthwhile staying in this hotel, you truly get value for money. Everything were good expect the room I booked is to small for 2 big luggages. Suggest to book a bigger room category. The free snacks and drinks are a big plus for us as we are not a early sleepers. Water pressure and hot water are very good. Housekeeping doing a great. Aircon is cold and adjustable. Bed is comfortable. Staffs are helpful. 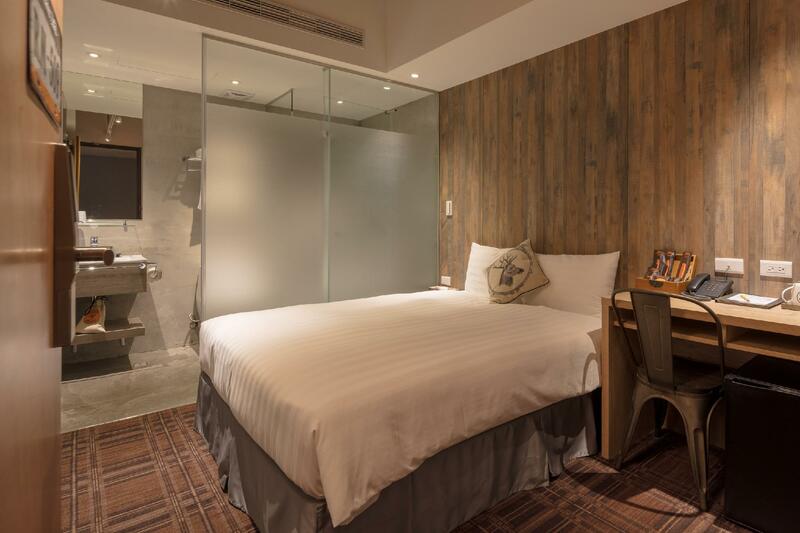 Location is about 5minsslow walk to Ximen station and Ximending district. Convience stall are a stone throw away. I will definitely stay there again when I am in Taipei. Great place to stay. but the room is too small specially travelling with kids. Better book the VIP. few bucks difference but worth the extra space. FREE snacks (drinks, sandwich, instant noodles, crackers) and FREE use of the game room 24/7. Stayed for 3 nights and we love a lot of things about the hotel: its overall inviting character, unique facilities and stuff freely provided, location and accommodating staff. Will come back with kids next time! Having free beverage, different games to enjoy in the common area. 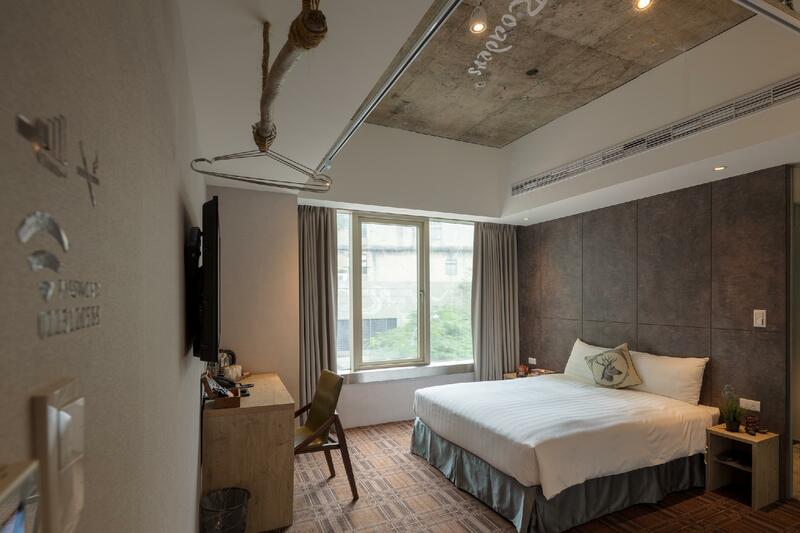 It is also very convenient that it only takes a few minutes to walk to the station and XiMenDing. Although the room is relatively small, it is enough and clean to stay there. 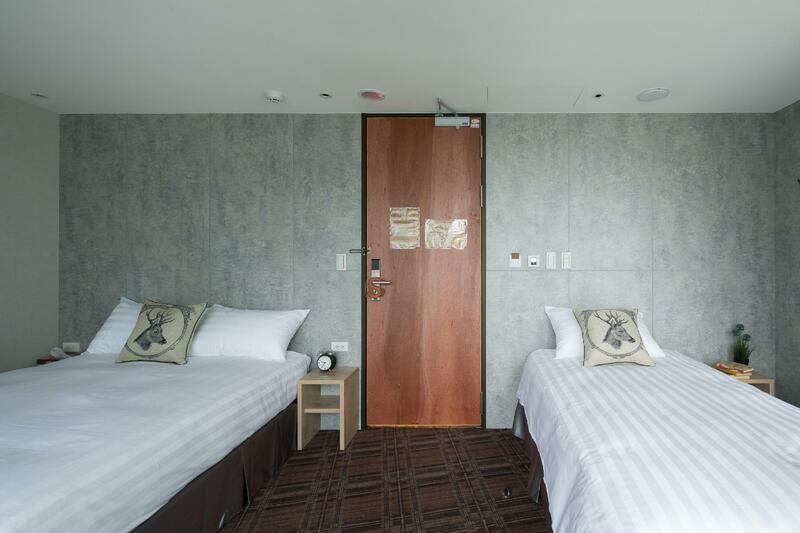 The hotel is near to Ximen station and is also walkable to Taipei Main station. The free usage of the washer and dryer is really great too! The service provided by the staff was excellent; they are all super friendly. The free milk tea provided at the reception is a special blend and is a must try! Loved my first stay at Roaders Hotel. The staffs are amazing and are always ready to assist. Perfect location and is walking distance to Xi Men Ding. 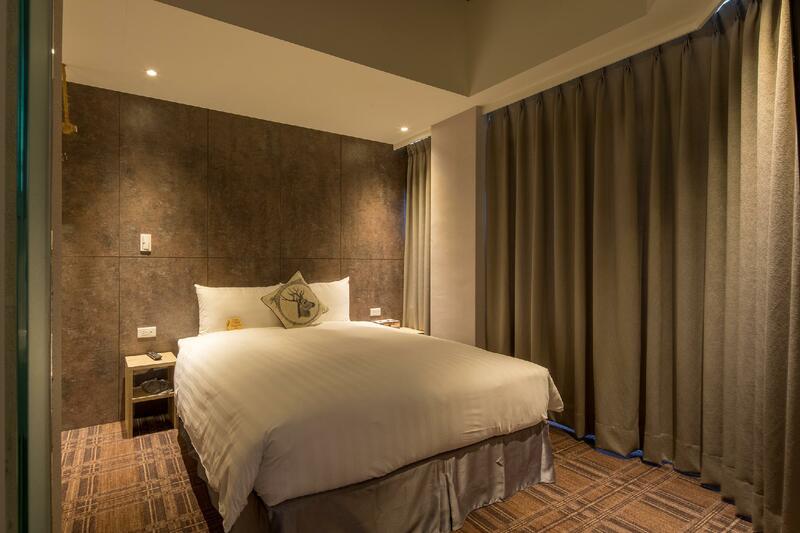 The room is clean and large with nice decor and comfy & clean bed. 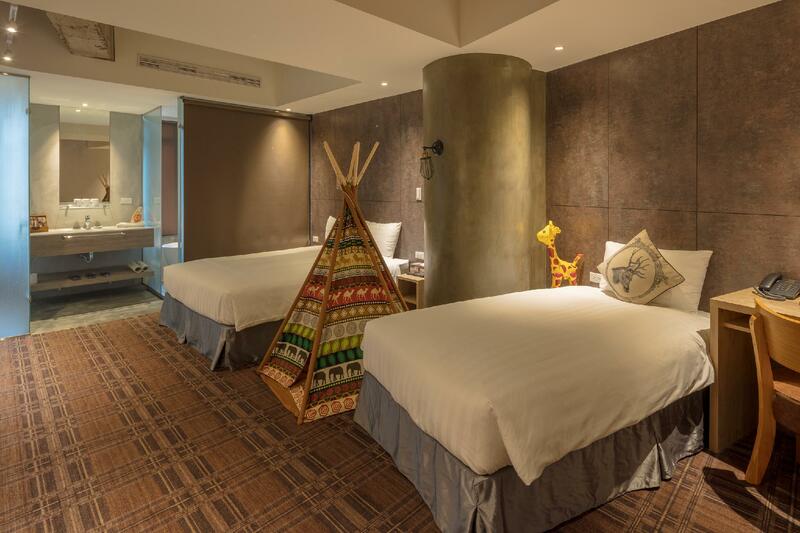 We will definitely stay at Roaders Hotel when visit Taipei again. Would definitely NOT recommend this hotel to anyone. My wife n I were both severely biten by bed bugs and worst of all, the bugs followed us back to Hong Kong and we have to hire pest control specialist to eradicate the problem for the entire flat. We are still badly suffering from the bites ten days after returning from Roaders. Very horrifying experience and completely ruined our holiday. Σταθμός Μετρό Ximen στα 0.39 χλμ.